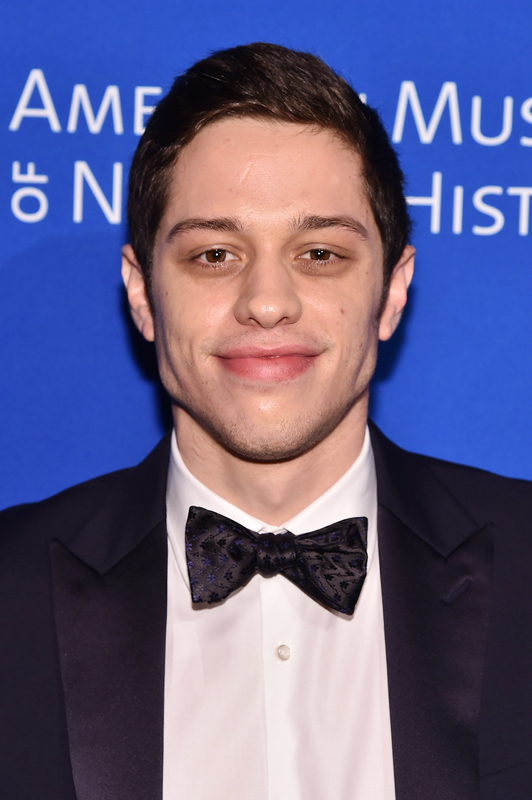 Comedian and SNL star Pete Davidson, whose engagement to Ariana Grande has piqued the world's interest, was recently profiled by GQ. Among the many gems he dropped in the interview, Davidson said that he basically told his new fiancé that he wanted to marry her the day they met. "The day I met her, I was like, 'Hey, I'll marry you tomorrow,'" he said. "She was calling my bluff. I sent her a picture [of engagement rings]. I was like, 'Do you like any of these?' She was like, 'Those are my favorite ones,' and I was like, 'Sick.'" Davidson said the couple doesn't have any set plans for the big day as of yet. Davidson also said Grande bought the New York City apartment the two currently live in together and that he pays for groceries. “She's really sweet. She's like, 'This is our house,' and I'm like, 'You're very nice for saying that. Thank you for letting me stay here,'” he said. "She's like, 'We're getting married!' And I'm like, 'I know, thank you for letting me stay here.'" Davidson also said they're still in the process of decorating their reportedly $16 million apartment. "It's like, we have six beanbags, but we have no forks, you know what I mean? We're learning how to be adults. We're having a really fun time." The 24-year-old actor said he goes out for drives around Manhattan late at night to escape the paparazzi and the newfound fame his relationship with Grande has brought on. He'll also have a reprieve from New York City when he begins filming his upcoming project Big Time Adolescence in Syracuse, New York. Davidson, who said "GQ wouldn't hit me up if I didn't recently get engaged to a super-famous person," was picked up by Grande at the end of the interview. "The universe works in weird ways," Davidson said. "All I know is that I'm the luckiest guy in the world."